With the rise of the digital business, organizations see a clear value in automating infrastructure. While automation provides more agility and speed, it also introduces new security risks. 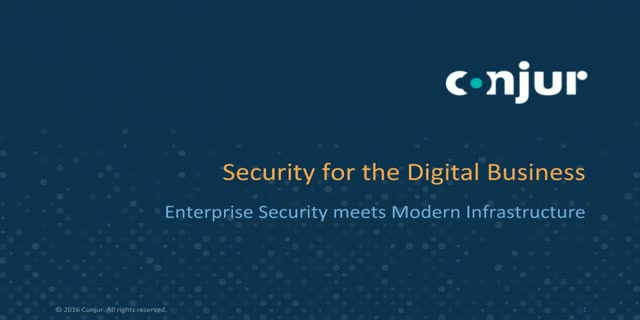 Organizations are no longer simply worried about controlling human access; authorization and authentication must be managed for every job, container, VM, service, and user. In this talk, we’ll discuss the security challenges organizations face in this new environment, and some strategies to help organizations manage, curate, and constrain cloud system resources and people when these entities are too numerous or dynamic to be managed by hand. Presented by: Andy Ellicott, Conjur, Inc.